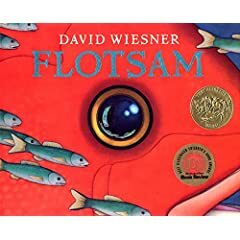 I just found out that Flotsam won the Caldecott. I guess I know how to pick 'em! The art is so detailed that it looks just like photgraphs. The action sequences realistically mirror real life experiences that happen along the shoreline. The panels that some of the art are done in are moving and some are even fascinating!